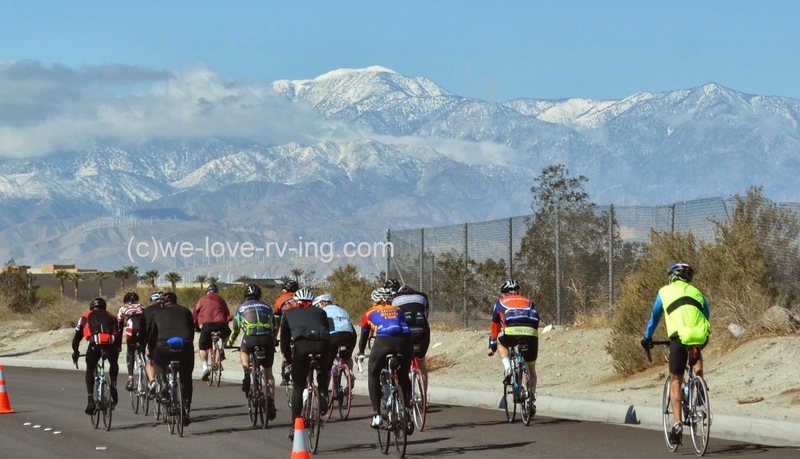 President’s Day 2014 in the U.S.A. was celebrated on Feb. 17. It was first created for George Washington in 1879, called Washington Day and always on his birthday. It has changed over time and now honors the office of the Presidency on the third Monday of February. 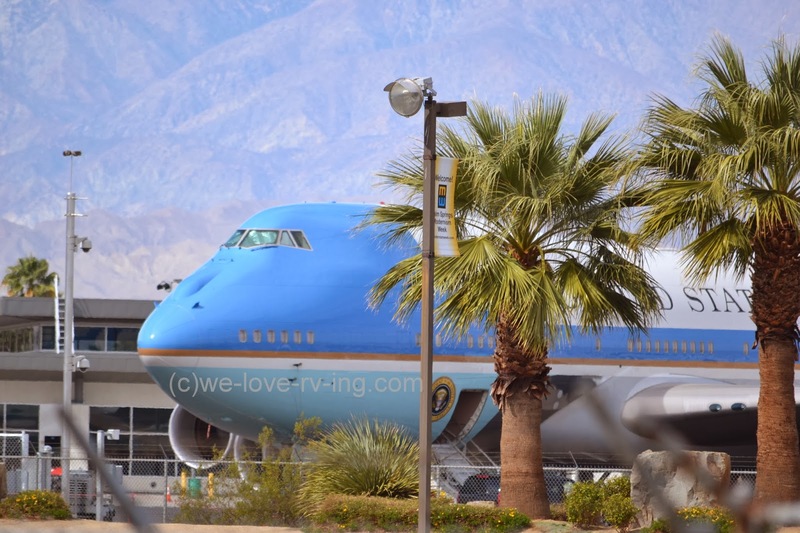 President Barack Obama was visiting Palm Springs, California on this President’s Day of 2014. 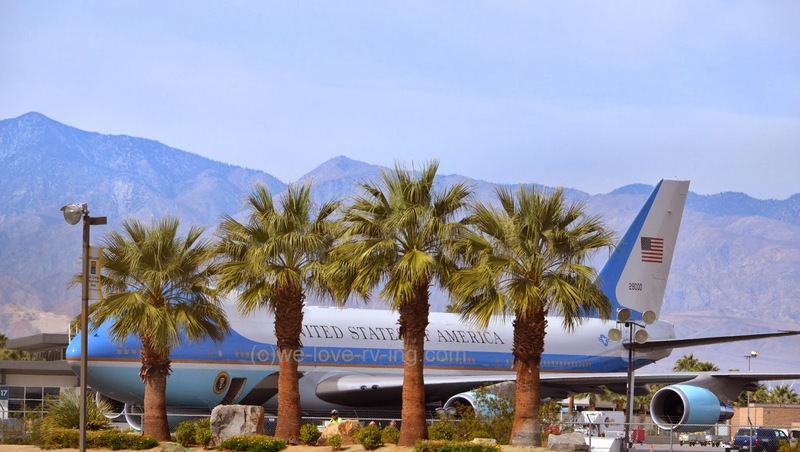 The Coachella Valley, home of Palm Springs had been buzzing with the news that the President was coming for a visit. President Obama met with the King of Jordon for official business then some golfing fun with his highschool friends over the President’s Day week-end. 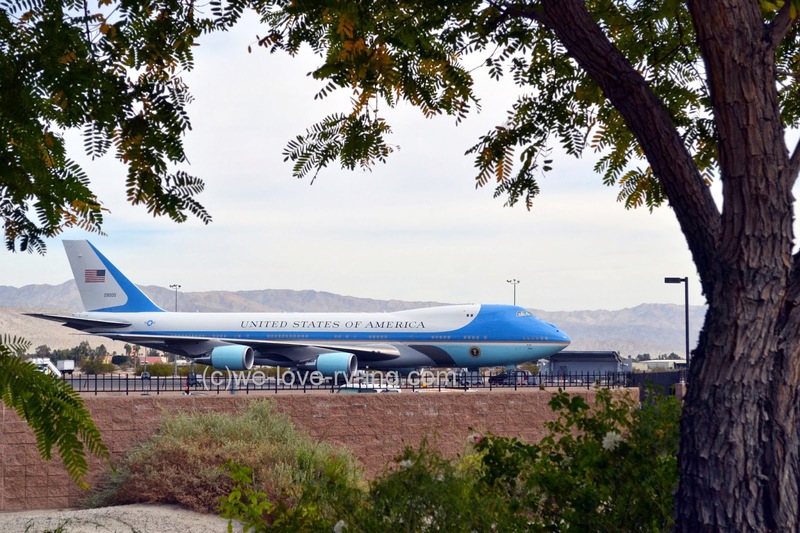 We made our way to the airport hoping to get to see Air Force One and were amazed to be able to get up so close. I expected it to be out of sight for security reasons but that shows my lack of knowledge in that department. 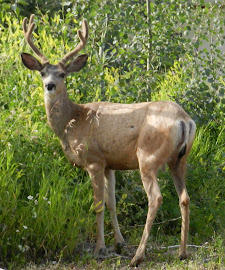 It was very close to a public area so photos were easy. Several other people had the same idea as we did and they were all busy with their cameras. The airplane is over 231 feet long so it isn’t easily hidden but I sure was happy to be able to see it without buildings in the way. 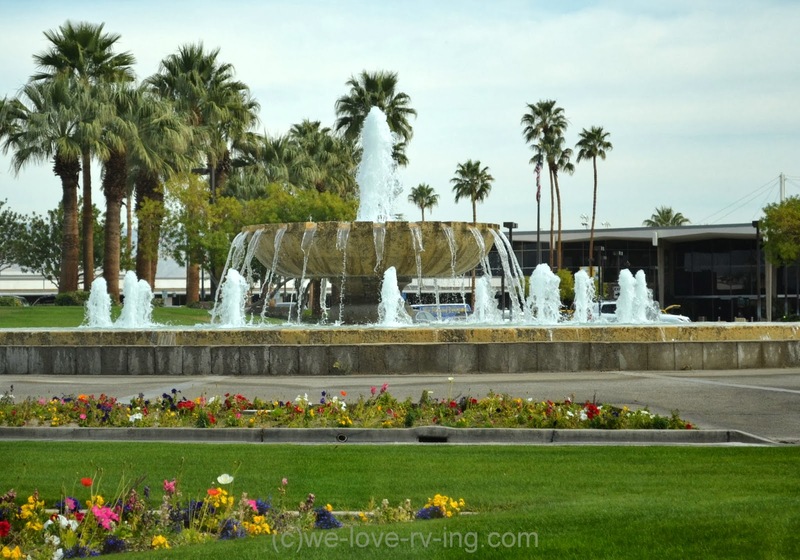 My biggest challenge was to get a palm tree in the photo and to keep walking until I found that right location. 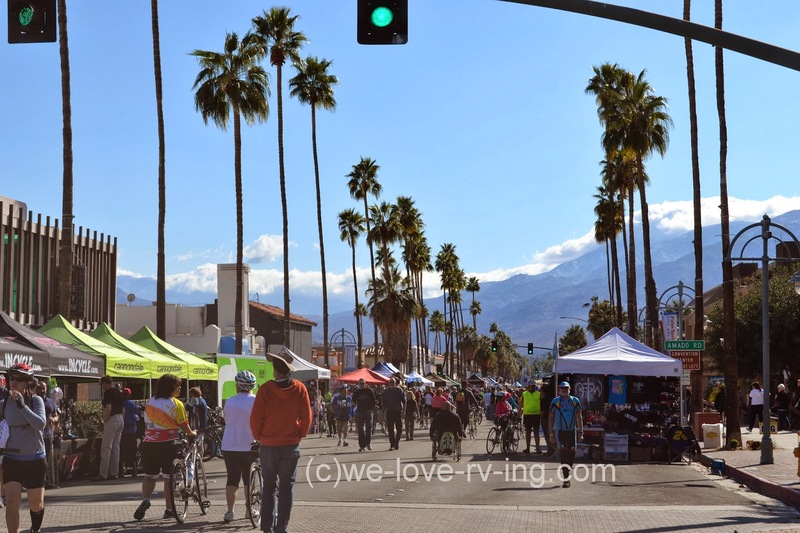 It isn’t Palm Springs without a palm tree in the photo! 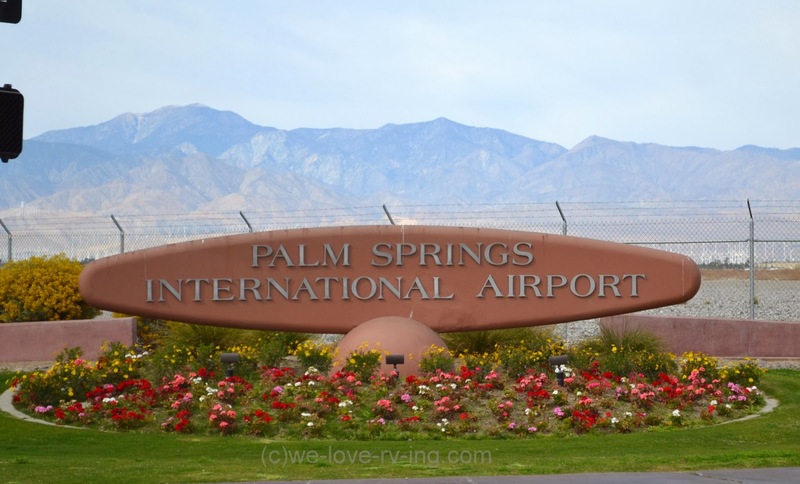 Palm Springs does not have a very large airport but it is very secure. 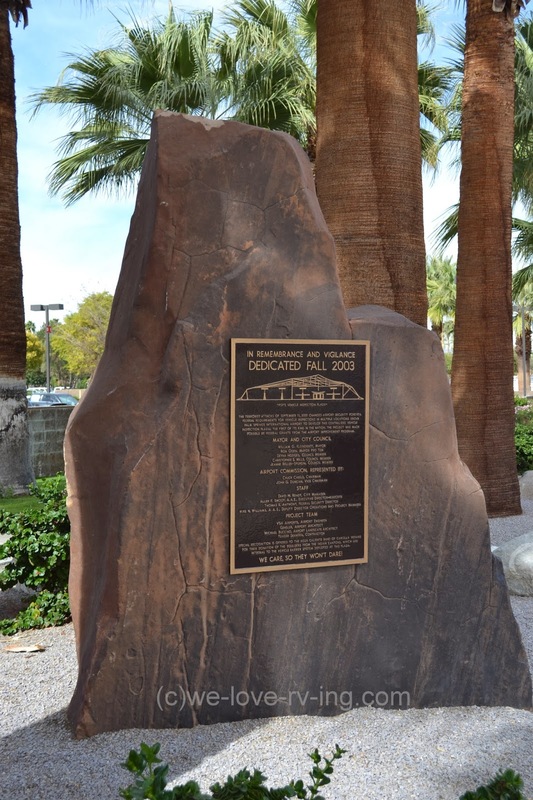 This monument was dedicated in 2003 as following 9/11 Palm Springs was the first in the nation to develop a centralized vehicle inspection plaza. There is no doubt that security has been even more with this weekend visit by the President. The first to benefit from a presidential airplane was President Franklin D. Roosevelt when the Secret Service configured one that was used in February 1945. Previous to that there were commercial flights used until security became a concern. The name ‘Air Force One’ became used after a 1953 incident making a name change necessary but it wasn’t until 1962 that it became official. There were a few names used before this one such as ‘Guess Where ll’, ‘Sacred Cow’ and ‘Independence’ with a bald headed eagle painted on the plane but Air Force One definitely sounds best and gets my vote. 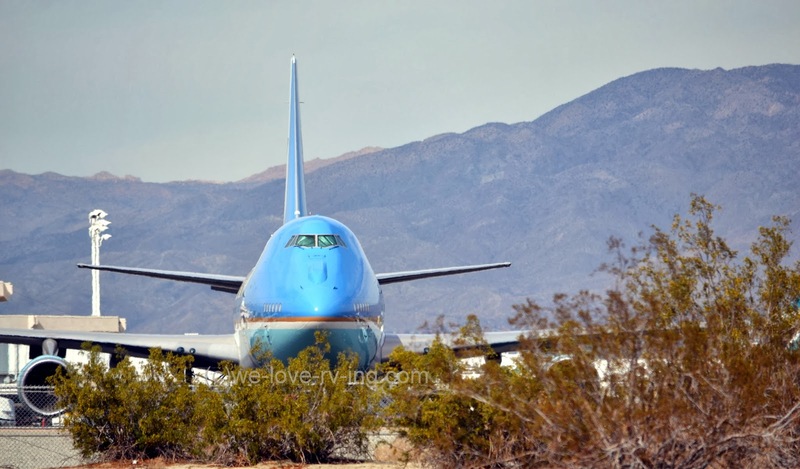 There have been several aircraft used over the years but presently there are two Boeing VC-25A’s that are highly customized for use by the President. The aircraft is called Air Force 2 when used by the vice-president. 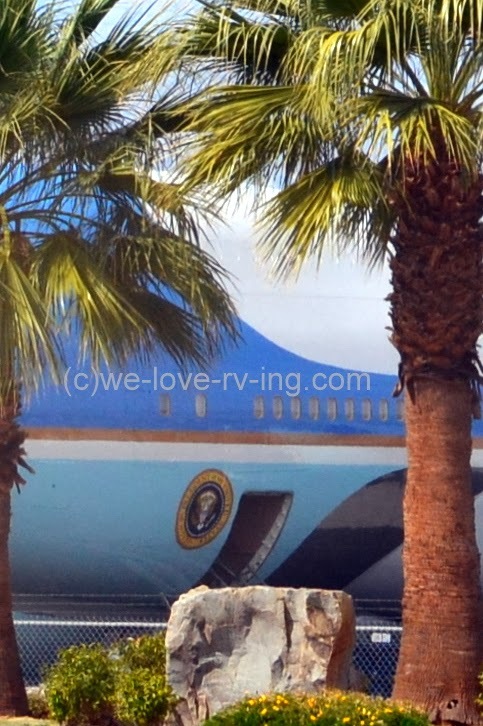 Air Force One is almost a mobile White House for the President when he is away from there. It has state-of-the-art navigation, electronic and communications equipment, conference room, offices, dining rooms and private quarters for the President and First Lady. This week-end has now come to an end and activity at the airport has returned to its’ regular busy routine. The weather was weekend perfect and life here has returned to normal. The President has left the Valley. 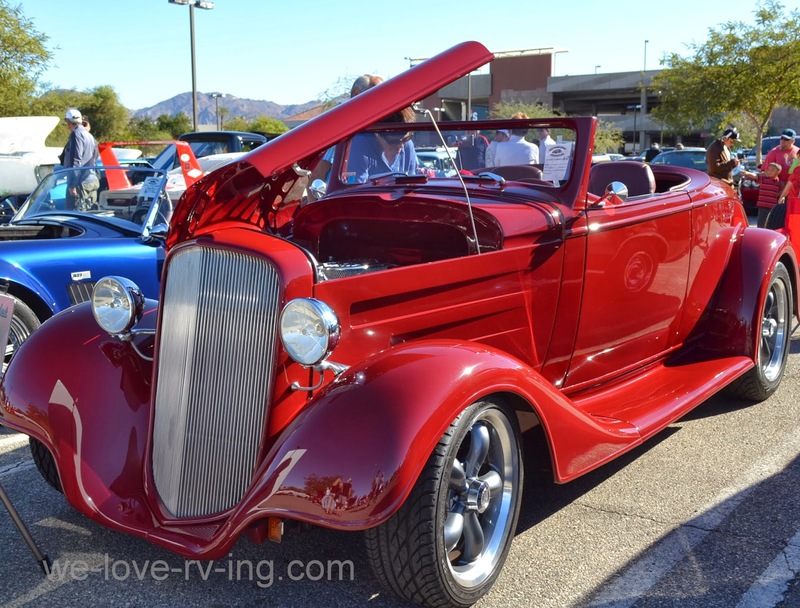 The Palm Springs Cruisin’ Association is a group of car enthusiasts from the Coachella Valley. 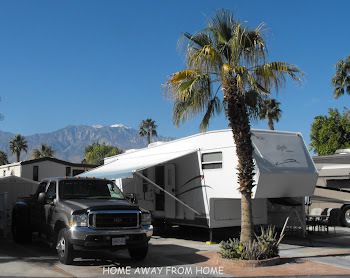 Some may be permanent residents but some are Snowbirds either from the US or Canada and spend time here during the winter. What better way for them to show off their beautiful cars than a car show! We visited one of the monthly shows held and there was no cost to the public, although those who put their car in the show will pay so they raise funds but it is available for everyone to enjoy. 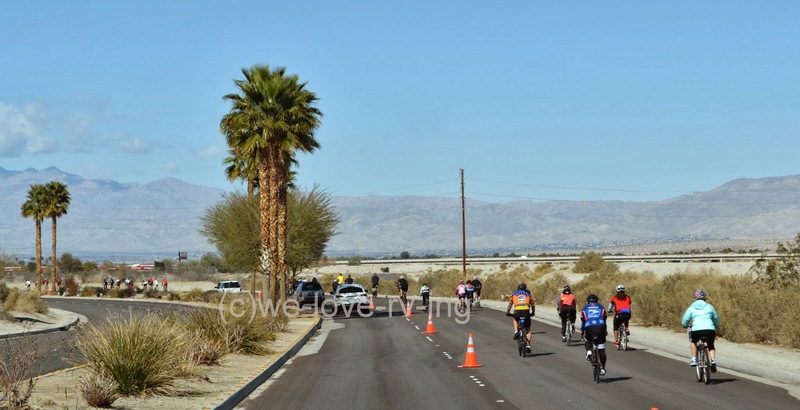 There was music, entertainment and draws that raise more money for their charities. 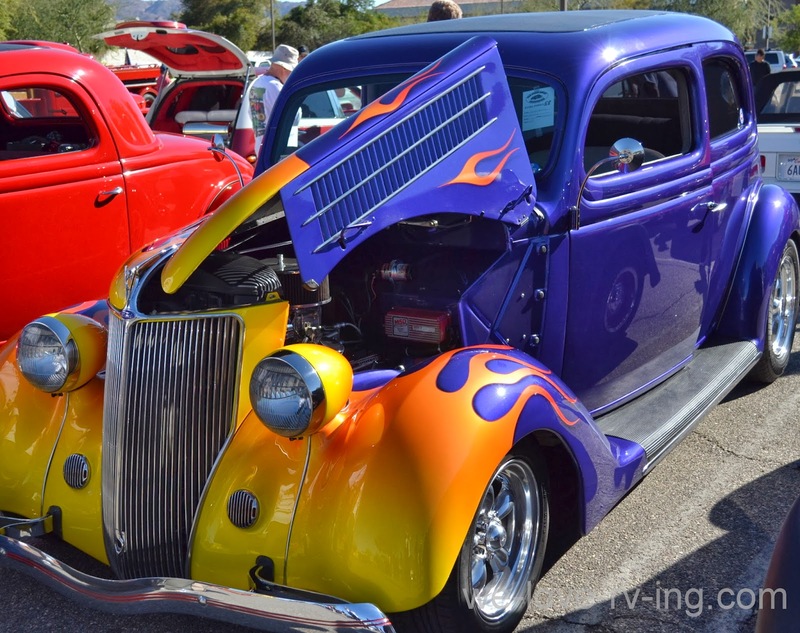 The car club is a volunteer non-profit organization and one of their main purposes is to promote charitable car events. 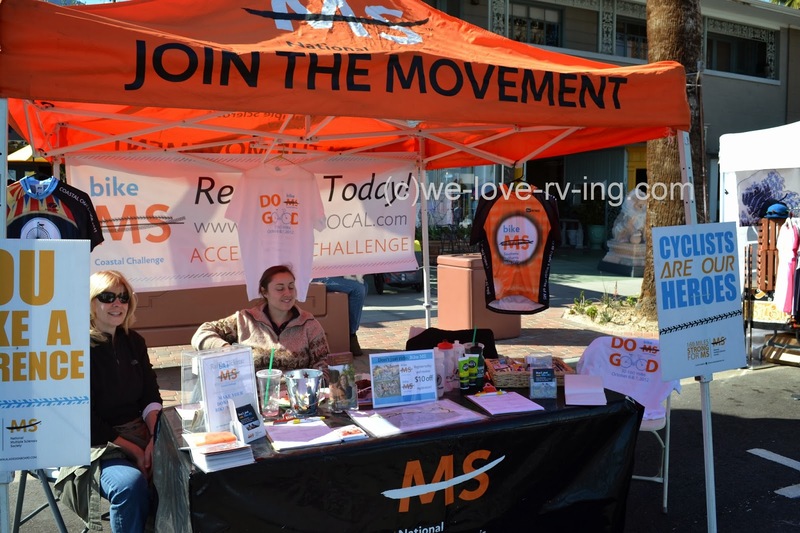 The event we visited was not a charity event but the following week there was Dr. George Car Show, their main charity event where they raise thousands of dollars for the Desert Cancer Foundation. 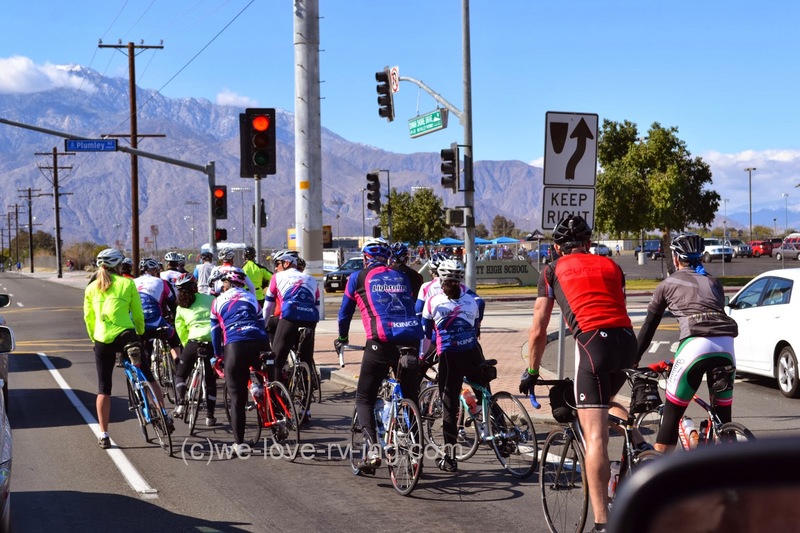 To 2013, this association had raised $488,000 and provided $3,085,000 in cancer treatment services since they first began these charity car events and that doesn’t include the one held this year. That is an amazing contribution. Some of the paint jobs on the cars are a flashback in time and all part of the show. 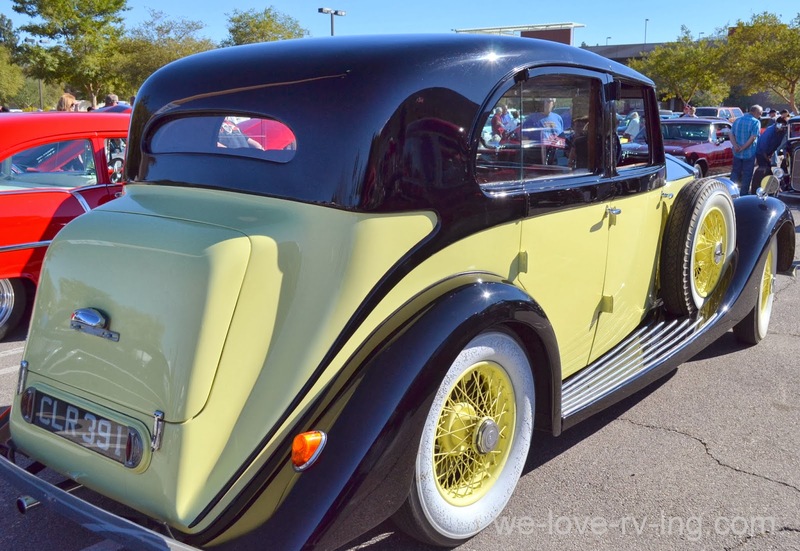 Spotless and shiny, the owners’ pride is shown in every car and truck seen in these shows. Some are quite rare and one you may not see at other shows in your hometown so well worth checking out. 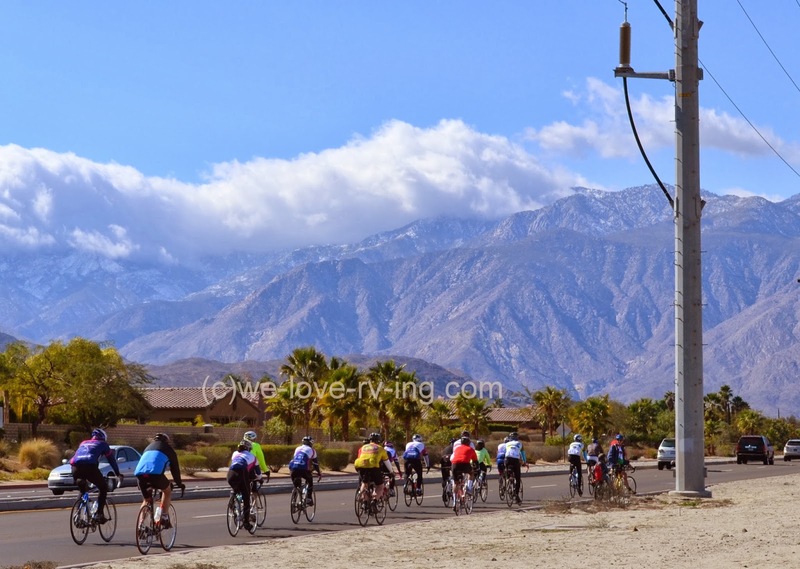 Most of us from a certain age group will associate California with surfin’ and the Woodie! There were a couple of them at this car show with one from British Columbia and owner Jim proudly displaying his Langley Loafers sign on it. Another BC Snowbird has this winner. 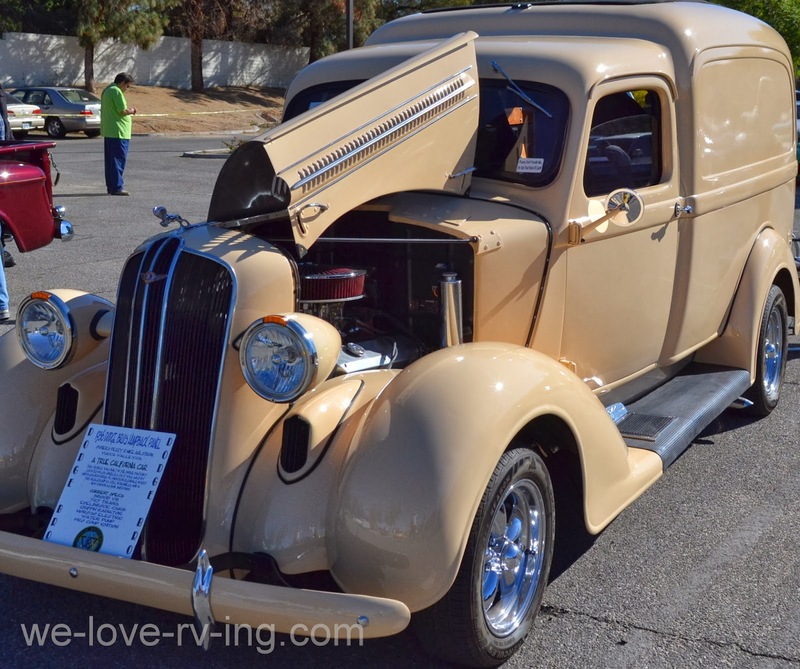 It seems that whenever this truck enters a car show, it receives a trophy and today was no exception. Congratulations, Dave. 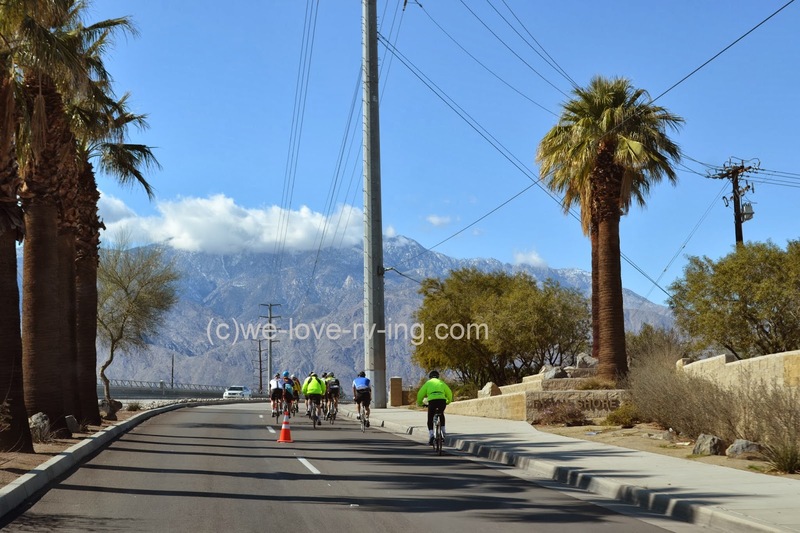 Palm Springs and a Rolls Royce may seem synonymous but we rarely see something this beautiful driving on the streets these days. I don’t know the year of this Rolls Royce but it was a beautiful car that has to be seen and admired. 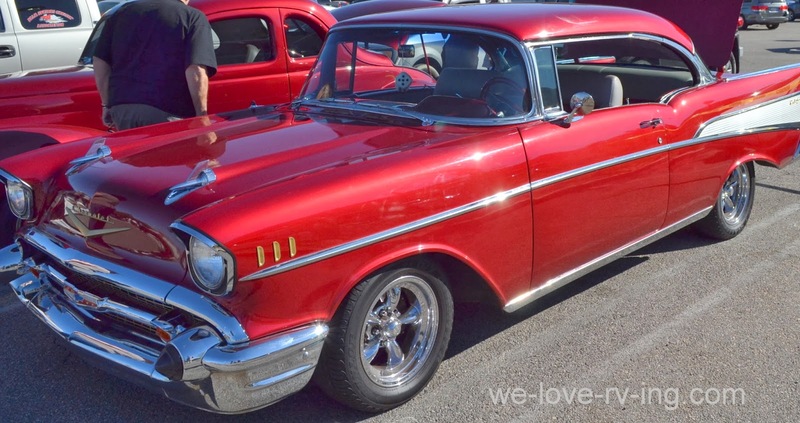 No car show would be complete without a ’57 Chevy! It is a classic from those days and was the car we had many years ago. This one is a very similar color as the one we had so it did offer some flashbacks! These old cars evoke memories for many. Take the time to stroll down memory lane and enjoy the show! 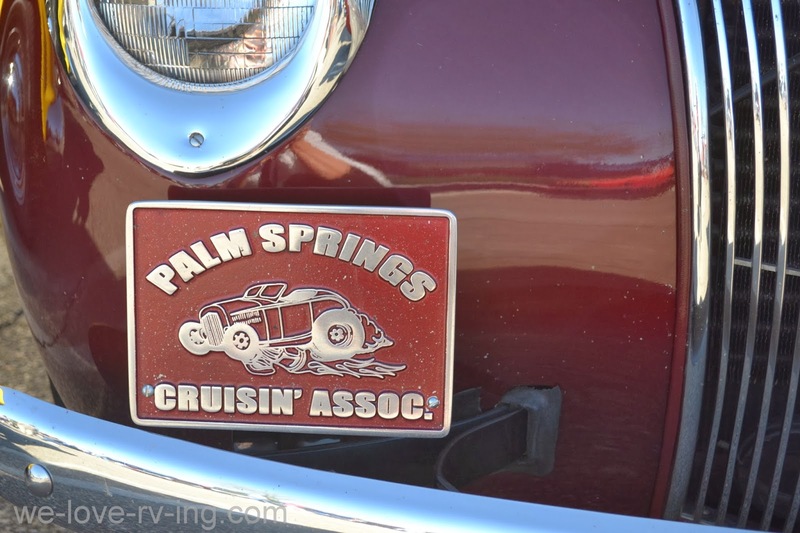 Membership in the Palm Springs Cruisin’ Association is about 300 and they invite car enthusiasts who may be interested to join them. For more information, click here and learn more.